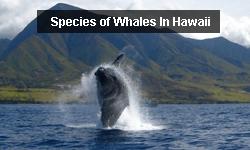 The people of Hawaii are highly regarded for their knowledge and prowess of the ocean, a skill grounded in necessity that began when ancient Polynesians paddled into the unknown and discovered the Hawaiian Islands. 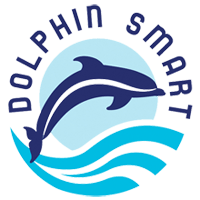 The ocean served as a major food source, form of entertainment, power and general way of life for thousands of years, and it’s a skill that continues to be valued today. Whether it’s ocean navigation, paddling, big wave surfing or capturing the unique life that lives under the surface, we recognize the importance of furthering the cause for those who made it possible and continue to challenge the next generation of ocean masters in Hawaii today. Duke Paoa Kahinu Mokoe Hulikohola Kahanamoku was born in 1890 in Honolulu and named for the Duke of Edinburgh who visited Hawaii in 1869. Growing up, Duke had a strong passion for swimming, surfing and paddling. After closely watching Australian swimmers who visited the islands in 1910, Duke and his friends organized the Hui Nalu, or “Club of the Waves,” in order to become recognized swimmers. After clocking his 100 meter swim and sending his record-breaking time to the Amateur Athletic Union officials in New York, they replied “Unacceptable. No one swims this fast. Hawaiian judges alerted to use stopwatches, not alarm clocks!” It was clear that Duke had to go show them himself. In 1912, Duke traveled to the mainland and won the 100 meter race, making the Olympic swimming team and traveling to Stockholm to compete. After nearly sleeping through the 100 meter dash, Duke showed up at the last second and broke the Olympic record, winning two gold medals and becoming a Hawaiian hero. He went on to win two more gold medals at the 1920 Olympic Games in Belgium, made the U.S. Swimming Team in 1924, rescued 8 men from a boating accident off of Newport Beach in 1925, made the U.S. Water Polo Team in 1932, served as Sheriff of Honolulu for 26 years and starred in several Hollywood films, including the Wake of Red Witch alongside John Wayne. He also ran two service stations, had his own line of aloha shirts, became an Official State of Hawaii Ambassador of Aloha and married the love of his life at the ripe age of 50. 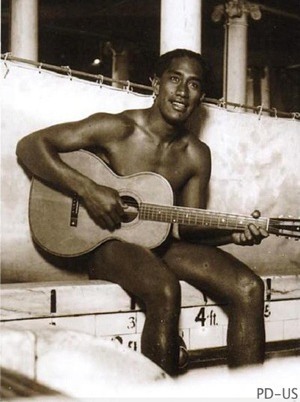 He is widely recognized as the greatest athlete in the history of the Hawaiian Islands and helped popularize the sport of surfing in mainstream America by becoming the “Father of Modern Surfing.” The Duke died in 1968 at the age of 77 and is celebrated for his all-around good character and legendary feats of athleticism in the water. Born in 1928 and raised in Waipi’o Valley, Hilo and Wisconsin, Herb Kane was an artist-historian, author, founding member of the Polynesian Voyaging Society and first captain of the remodeled ancient voyaging canoe, Hokule‘a. After serving in the Navy and studying at the School of the Art Institute of Chicago and University of Chicago, Herb’s work included advertising art, publishing art, painting, writing, sculpture and architectural design. With a developing interest in Hawaiian history, including Polynesian navigation and the South Pacific, Herb took particular interest in the argument over whether ancient Polynesian explorers had arrived to Hawaii intentionally or drifted there by accident, a popular debate in the 1950s and 60s. When computer simulations of wind patterns and ocean currents proved that a drifting canoe had no way of reaching Hawaii from parts of Polynesia or Micronesia, Herb decided to build a full size replica of an ancient sailing vessel to put the theory to the test. 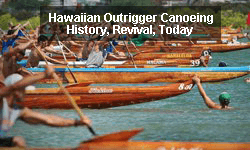 With knowledge of how the ancient canoes had been built and his experience in architectural design, Herb made a painting and preliminary plan and began recruiting members to raise support for the project around Honolulu. Hundreds of volunteers showed up to help, proof that an interest in reviving the Hawaiian culture was not dead. 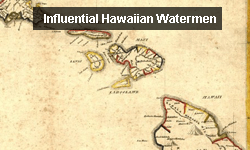 After completing the structure of Hokule‘a and launching it between the Hawaiian Islands using his knowledge of sailing catamarans, it was time to name the vessel. 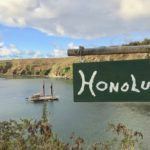 In fact, “Da Boat” was written in chalk on the side to remind him to do so, and after studying the stars and navigational charts of its course, the name Hokule‘a, meaning “star of gladness” and the Hawaiian name for a a navigational star used by the ancient voyagers, came to him in a dream. Hokule‘a was officially launched in 1975 and made two 5,500 mile round trip journeys from Honolua Bay, Maui, to Tahiti in 1976 and 1980 before later completing a 16,000 mile round trip voyage from Hawaii to Tahiti, Mo’orea, Huahine, Ra’latea, the Cook Islands, New Zealand, Tonga, Samoa, and back to Hawaii from 1985 to 1987. Herb was elected a Living Treasure of Hawaii in 1984, designed a special stamp for the 50th anniversary of Hawaii’s statehood in 2009 and lived in South Kona on Hawaii’s Big Island until his death in 2011. Eddie Aikau was born in 1946 on Maui. Introduced to surfing by helping his father drag a heavy redwood surfboard out to the beach, Eddie began surfing off the shores of Kahului with his family at a young age. Eddie’s family moved to Oahu in 1959, where he eventually dropped out of school and got a job at the Dole Cannery so he could go surfing in the mornings. After showing up and proving himself as a big wave surfer and general symbol of the aloha spirit, the City & County of Honolulu hired him as the first lifeguard to work on the North Shore’s Waimea Bay, despite not having a high school diploma. After being named Lifeguard of the Year in 1971, saving multiple lives in rough conditions that were previously thought unthinkable to go out in and winning the Duke Kahanamoku Invitational Surfing Championship in 1977, Eddie became one of the most respected and well known names in surfing. In 1978, at the age of 31, Eddie was selected as a crew member for the second voyage of Hokule‘a from Honolulu Harbor to Tahiti. After mounting to pressure to leave in less than ideal weather conditions, Hokule‘a developed a leak only a few hours after setting sail and capsized in the Moloka’i Channel, floating upside down and forcing crew members to cling to overturned hulls overnight. When planes continued to fly overhead but failed to see the overturned vessel, Eddie made the decision the following morning to paddle out on his surfboard in the direction of Lanai to get help. Choosing to ditch his life jacket a few hundred feet from the canoe, Eddie braved the rough conditions and paddled out. 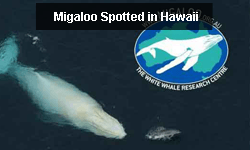 Hours later, a commercial plane spotted Hokule‘a and the crew was rescued by the U.S. Coast Guard. Eddie, however, was tragically never seen again. The largest air-sea rescue effort in modern Hawaiian history was conducted, but with no avail. David Bettencourt, a family friend, went out in a plane to help the search efforts, and “saw the board, and about 100 yards away from the board, something orange in the sea,” but lost it beneath them and never found it again. Today, Eddie is remembered for his bravery and willingness to give his life for the safety of others. The Quiksilver In Memory of Eddie Aikau big wave international surf meet only occurs when the waves are at their biggest at Oahu’s Waimea Bay and is recognized as the “most prestigious big wave competition in the world.” Only invited surfers may compete and must be voted in by their peers. The phrase “Eddie Would Go” became a testament to his skills in the ocean and a benchmark to his legacy. Charles Nainoa Thompson was born in 1953 in Honolulu and grew up on his grandfather’s chicken and dairy farm in Niu Valley. Originally introduced to the ocean by Yoshio Kawano, a milkman, Nainoa developed a fascination with the water from a young age. 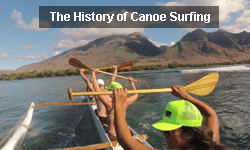 After graduating from school and working in odd jobs like construction and driving dump trucks, Nainoa began paddling outrigger canoes with the Hui Nalu Club, where he met Herb Kane, Tommy Holmes and Ben Finney, who were in the early stages of designing Hokule‘a. Searching for a way to test their work, Herb asked Nainoa to paddle out over the reef into open ocean on smaller versions of what would eventually become Hokule‘a. When hundreds of interested people were considered for the sail from Hawaii to Tahiti, Nainoa was one of only thirty chosen to continue. But there was a problem. They had no one who knew how to navigate, a huge part of the fate of Hokule‘a. After Tevake, a man in Melanesia believed to be the only living navigator on earth, said goodbye to his family and rode out to sea on an old canoe, never to return again, there was little hope for finding someone who could teach them the ways of traditional long distance ocean navigation. Eventually, however, they found another navigator, a man named Mau Piailug from Satawal, an extremely small island in Micronesia that was forced to learn ocean navigation in order to provide food for residents of the island. Guiding only with his vast knowledge of the stars and ocean, Mau’s job was often to sail canoes long distances across the Pacific. 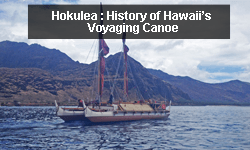 After agreeing to help with the project, Mau successfully guided Hokule‘a from Hawaii to Tahiti on its first voyage in 1976. 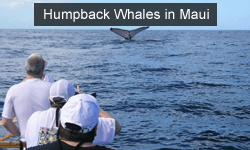 Complications on the voyage caused Mau to leave after arriving in Tahiti, however, forcing Nainoa to take charge of navigation for the journey back to Hawaii. In 1979, after hearing about Eddie Aikau’s death on what was supposed to be the second voyage to Tahiti, Mau returned to Honolulu, offering to train Nainoa. Teaching him slowly and patiently by drawing in the sand and using stones or shells as stars, coconut fronds as the canoe and string to trace paths of the stars, Nainoa became the first Hawaiian to practice the art of wayfinding on long distance ocean voyages since the 14th century. Currently the Executive Director of the Polynesian Voyaging Society, Nainoa has played an irreplaceable role in sailing and navigating double hulled voyaging canoes. In 1994, Nainoa oversaw a new Hawaiian voyaging canoe made from traditional materials, Hawai’iloa, and directed the Na ‘Ohana Holo Moana, or “The Voyaging Families of the Vast Ocean,” which consisted of three Hawaiian canoes, two Tahitian, two Cook Islands and one New Zealand canoe on a voyage to Tahiti, the Marquesas Islands and back to Hawaii. He has also developed educational programs for the children of Hawaii to learn about traditional Polynesian voyaging traditions. He is currently navigating the seas once again as the Hokule‘a makes its Malama Honua worldwide voyage. Born in San Francisco in 1964, Laird and his mother moved to Hawaii when he was just an infant. While living on Oahu’s north shore, Laird met fellow surfer Bill Hamilton, who owned a small surfboard shop and helped shape custom boards for big wave surfers in the area. Bill married Laird’s mother and became his adopted father. After moving to a remote area on Kauai, Laird made the decision to drop out of high school in the 11th grade to become a model and work in the construction industry. While he certainly had the skills to become a professional surfer, he was not a fan of the professional contest circuit. In 1987, Laird earned a role in a movie called North Shore, and later in 1989, starred in a windsurfing movie called Moving Target. In the 1990 ski film titled Groove – Requiem in the Key of Ski, Laird attempted to be the first surfer to complete a 360 degree turn while strapped to a board. Along with a group of friends that came to be known as the “Strapped Crew,” Laird began surfing larger waves at Pe’ahi, or Maui’s famous surf break more commonly known as Jaws, and performing stunts that would one day pave the way for kiteboarding. Alongside fellow surfers Darrick Doerner, Dave Kalama and Buzzy Kerbox, Laird began using inflatable boats to tow friends into huge waves at Jaws that were simply too large to paddle into. This was later modified to become what is now the popular practice of tow-in surfing, allowing surfers to take on bigger waves than ever before, some as big as 70 and 80 feet. In 1995, Laird commuted daily from Maui to the Big Island by jet ski in order to play Kevin Costner’s stunt double in the movie Waterworld. That same year, he also met pro volleyball player and model Gabrielle Reece, who would become his wife. The next year, Laird was named one of People Magazine’s 50 Most Beautiful People in the World and became instrumental in popularizing the sport of kitesurfing. 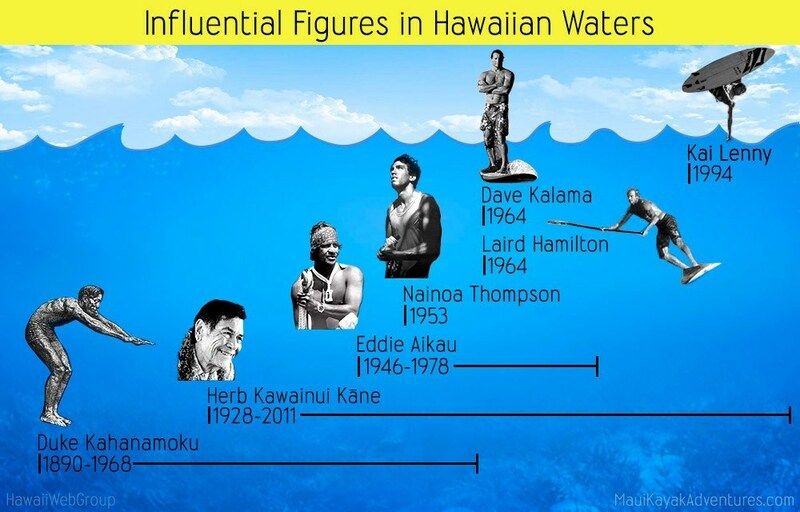 He also became a proponent of the sport of stand-up paddle surfing, a way of surfing that was largely practiced by ancient Hawaiian leaders like King Kamehameha I and Queen Ka’ahumanu. In 2000, Laird made history by taking on what became known as “the heaviest wave ever ridden” at Tahiti’s Teahupoo. Darrick Doerner, who towed him into the massive wave, said “it was to the point where I almost said ‘Don’t let go of the rope’, and when I looked back he was gone.” The wave earned him the cover of Surfer Magazine and is known worldwide by surfers simply as ‘The Wave’. Laird also created hydrofoil boarding for surfing in deep ocean and was labeled by Surfer Magazine as “the sport’s most complete surfer.” While he has been regarded as the all time best of the best at big wave surfing, he often shies away from self promotion and continues to serve as an ambassador of water sports, healthy living and environmental activism. You can see an inside look of his life in the surfing industry in the 2004 movie Riding Giants. Dave Kalama was born in Newport Beach, California in 1964. 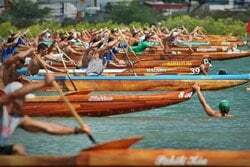 Basically bred for ocean sports, Dave’s grandfather was responsible for bringing outrigger canoe paddling to California in the 1950s and his father, Ilima Kalama, was named the U.S. Amateur Surf Champion in 1962. In high school, Dave was a competitive ski racer in Mammoth Lakes, California, an introduction to the world of competitive racing that would later win him respect in the ocean. 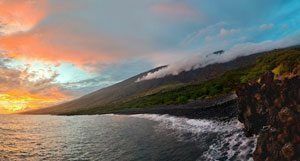 When his parents flew him to Kauai in the mid 1980s while on vacation, the plane made a pit stop on Maui, giving Dave a world class view of the famous windsurfing spot of Ho’okipa on Maui’s north shore. 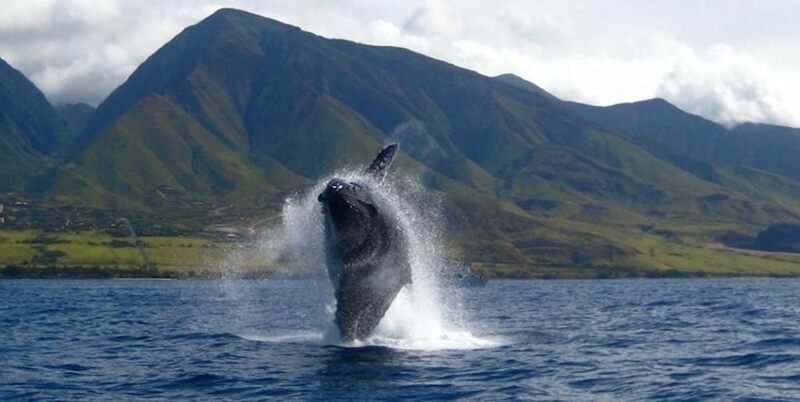 From then on, Dave knew he wanted to be in Maui. After finishing school and selling all of his belongings, Dave moved to Maui in 1985 at the ripe age of 20, where he met surfer friends like Laird Hamilton, Brett Lickle, Darrick Doerner and more. Alongside his fellow water enthusiasts, Kalama helped shape the future of ocean sports with big wave tow-in surfing, hydrofoil surfing, stand up paddle surfing and stand up paddle racing. 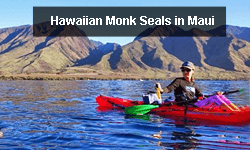 He is also a windsurfing world champion and continues to compete in paddleboard competitions. Along with Laird, Dave Kalama was cast as Pierce Brosnan’s big-wave surfing stunt double in the James Bond movie, Die Another Day. Dave currently lives in Kula, Maui with his family and is known for his high respect of surf etiquette in the local community. He won an award for his role in the big wave surfing movie Riding Giants, and in 2006, was awarded the Beacon Award at the Maui Film Festival for “helping to revive the surf film genre.” Alongside good friend Laird Hamilton, Dave also biked and paddled the entire Hawaiian island chain – a distance of more than 450 miles – in one week. While he is often twice the age of his competitors, Dave continues to inspire and teach others about paddling techniques, wave dynamics and fitness tips at his Kalama Kamp. While many of Hawaii’s most respected watermen have changed the future of water sports, including legends like Dave Kalama, Brian Keaulana, Richard “Buffalo” Keaulana, Buzzy Kerbox, Laird Hamilton, Darrick Doerner, George Downing, Buzzy Trent, Flippy Hoffman, Mark Cunningham, Montgomery “Buttons” Kaluhiokalani, Ricky Grigg, Robby Naish, Dave Wassel, Michael Tongg, Harold “Iggy” Ige, and Archie Kalepa, one Maui waterman is making a name for himself as an ocean legend in the making. Born on Maui’s north shore in 1992, Kai Lenny has proven his skills in an impressive number of water sports, including big wave surfing, stand up paddle racing, stand up paddle surfing, tow-in surfing, kitesurfing and windsurfing. If the ocean was a class, Kai would get an A+. Learning from pros like Dave Kalama, Robby Naish, Buzzy Kerbox and Laird Hamilton, in addition to growing up down the street from Pe’ahi (Jaws), Kai has quickly reached a new level that’s grabbing attention in locations across the world. Kai currently has 7 SUP World Championship titles and is sponsored by Red Bull, Hurley, Naish, Nike, Oakley, GoPro, MFC, Vertra, Turtle Bay Resort and Hi-Tech Maui. 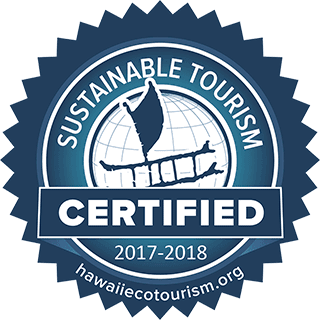 In April 2017, he traveled island by island on human-powered crafts to lead the first ever statewide beach cleanup with Sustainable Coastlines Hawaii and The 5 Gyres. We can’t wait to see what’s next from this Maui waterman. 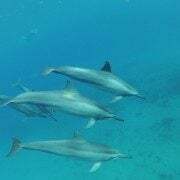 We hope to show respect to the people who have shaped the past and build the future of Hawaii’s long and connected history with the ocean. 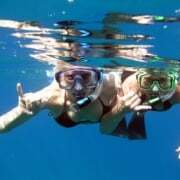 While you may not be ready to take on long distance ocean navigation, Polynesian canoe design or big wave surfing on your next trip to paradise, we hope to see you out on the ocean with us for an enjoyable outrigger canoe tour, kayak tour, stand up paddle or surf lesson. Mahalo for reading, and let us know if we missed anyone in the comments below!